As you can probably tell, things are just a little bit busy over here. I’ll be posting less this week, but I’ll try to toss something up here from time to time. First off, mark this date on your calendars — Saturday, September 20th is Puppy Mill Awareness Day. 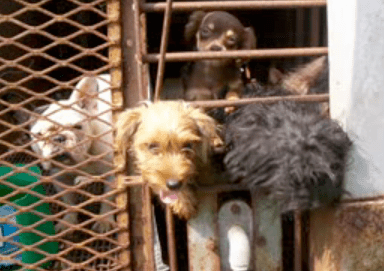 In case you’ve been living under a rock, puppy mills are alive and well, and just as lucrative as they’ve ever been. 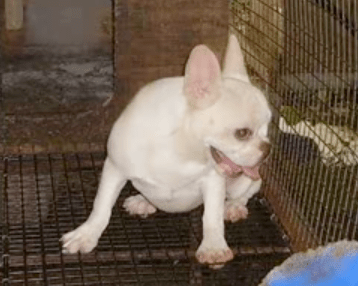 In fact, the advent of the internet has given puppy mills an entirely new market – the long distance buyer. Look, I’ve said this before, but it bears repeating — pick your puppy up in person. Good grief, you’re about to spend thousands of dollars on a dog that you want to be a part of your family for years to come – isn’t that worth a little bit of a drive? If you can’t drive to the breeder you’ve picked out, then find one who’s closer. Yes, you might have to wait a little bit, but so what? Puppies aren’t supposed to be about instant gratification – there just might possibly be a little bit of work involved on your part. I’m tired of hearing about sick dogs who came from puppy mills and mid west brokers. People! Stop the freakin’ madness! If you stop the demand, they’ll stop the supply. 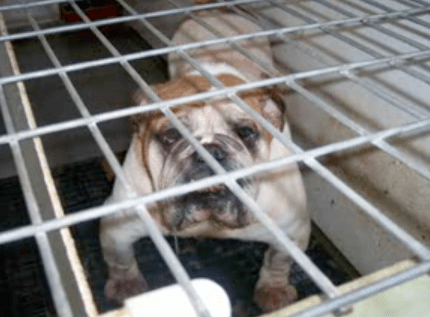 A breeder who refuses to let you see where they house their dogs is a breeder with something to hide – possibly something big, like a barn jammed to the rafters with hundreds of dogs. Go and check it out, with your eyes open and your heart ready to just say no and walk away. There are always more puppies, and you’re not ‘saving one’ when you buy from a bad breeder or a pet store. 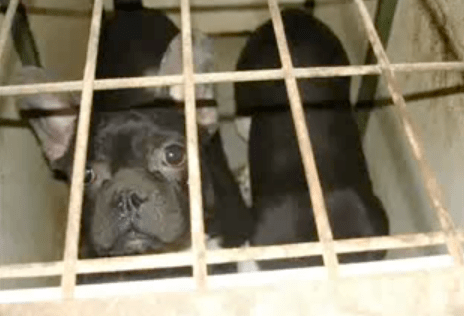 If you bought your French Bulldog (or your dog, period) from a Pet Store, you just saw where your dog came from. Yes, even you, Mr. “My Pet Store Is Different”. No, no they are not. Pet stores lie. They lie like rugs. Take a look at your cute dog, and take another look at that video. That Frenchie? The one living in a wire pen smaller than your dog’s bed? That’s your dog’s mother. Or sister. Or brother. I’m sure of it. 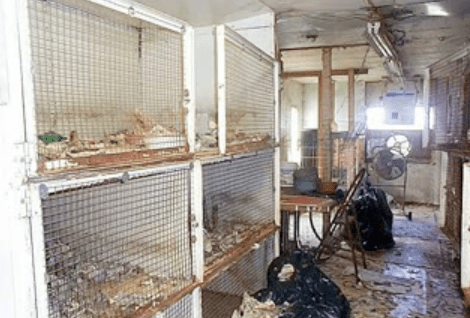 If you bought your dog from a pet store, your puppy came from a filthy, cramped, wire run hellhole like the ones in the video. You love your dog? Good. But it’s still the truth. And, because you bought your dog, your pet store placed an order for ten more just like her, and another ten Frenchies got crammed into wire pens like the ones you just saw, and bred until they died. Stop. The. Demand. Stop buying from Pet Stores. Or, keep on doing it, and accept the karmic debt load that comes from the torture of dozens of dogs, just so that you can buy that kyooooot little puppy in the window. It’s really up to you. My heart breaks when I see those faces. I don’t understand in this day and age why people still buy dogs from pet stores. I won’t even buy cat litter from a store that sells puppies/kittens. I really hope puppy mill awareness day will open peoples eyes.